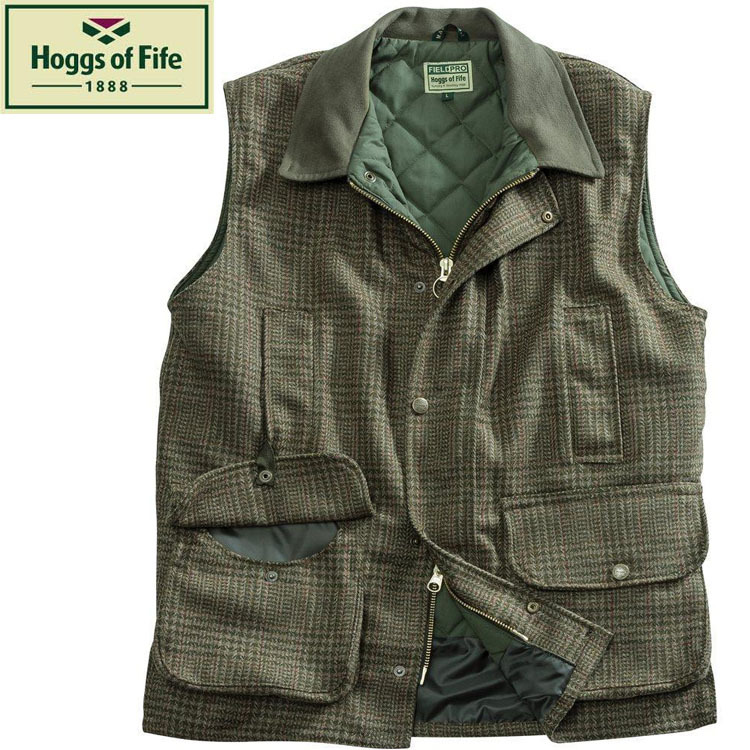 Hoggs of Fife Invergarry Tweed Field Waistcoat is a very comfortable mens tweed country waistcoat that has all the features you would need for your favourite outdoor activities. This stylish tweed shooting collection allows you to blend effortlessly into your surroundings while keeping your warm and protected from the weather. There are lots of useful pockets for carrying essential kit and keeping your hands revived in cold weather. The lining is quilted which combined with the naturally warm wool tweed fabric ensures your core is well insulated.